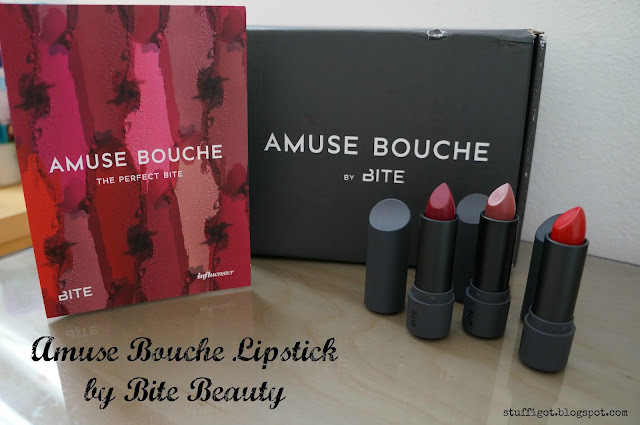 DISCLOSURE: I received free samples from Influenster to facilitate this review. All opinions are my own. Lipcolor that looks good and is good for your lips?! Introducing Amuse Bouche from Bite Beauty! These highly pigmented lipsticks are made with 12 edible oils that nourish lips to keep them moist and healthy-looking. They're currently available in 34 shades and are made without phthalates, sulfates and parabens. 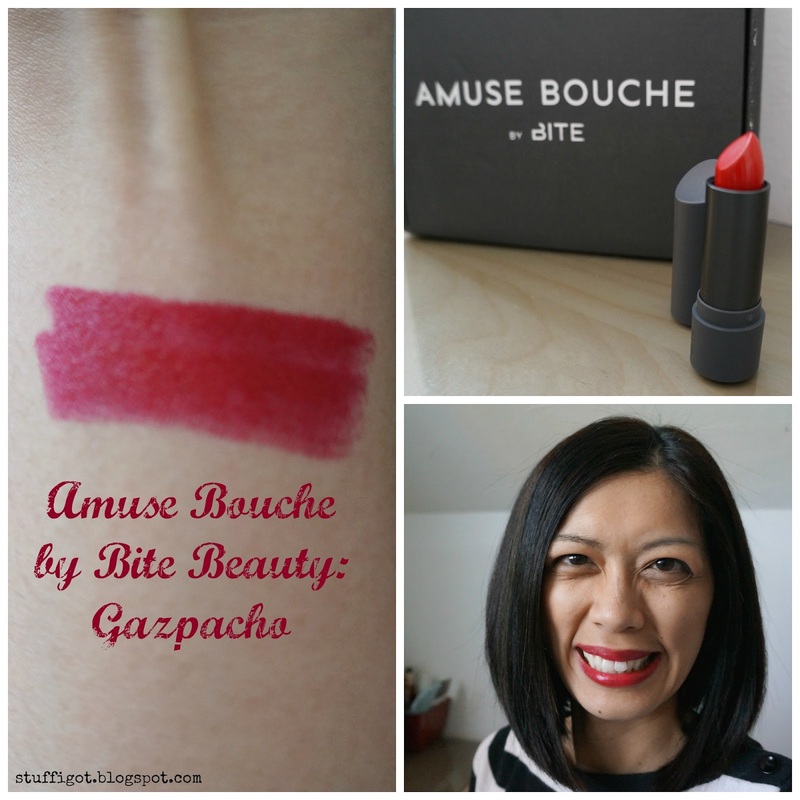 Amuse Bouche is certified gluten-free and the lipsticks even have a citrus flavor! 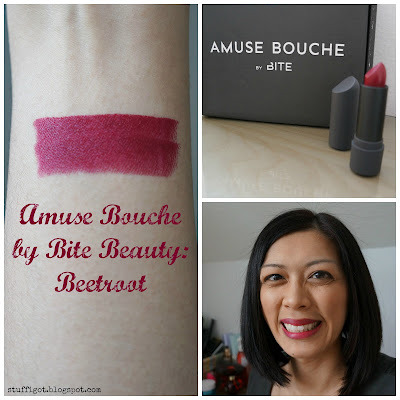 I had the chance to try out three shades of Amuse Bouche: Beetroot, Gazpacho and Pepper. 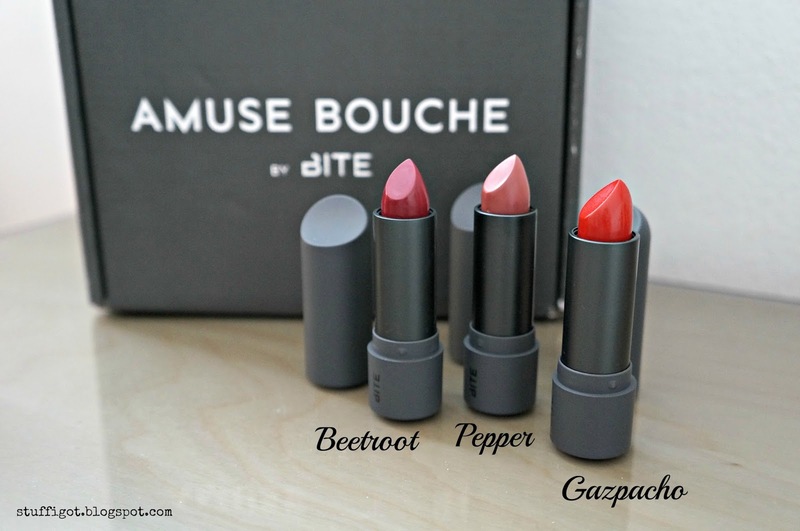 All three lipsticks were very creamy and easy to apply. I love how pigmented they were and how they smelled like fruit! My favorite of these three was the Pepper shade. 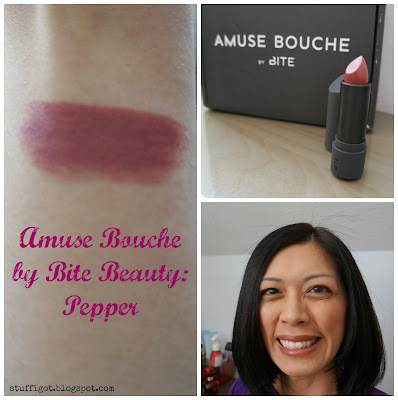 I usually prefer a neutral lip and this was easy to wear with any look. Though, the other colors were nice for a change from my usual colors. Amuse Bouche retails for $26.00 for a 0.15-oz tube. It can be purchased at Sephora stores and sephora.com.